This was a Family Division case before Sir James Munby. He heard 7 test cases regarding the interface between care proceedings and Article 5 of the European Convention on Human Rights. The children were all aged between 11 and 16 and each child had health difficulties with conditions such as severe autism and learning difficulties, and was consequently subject to certain restrictions on their movement or liberty. Those restrictions included varying degrees of supervision in the placement and the community, and in some cases locked environments for their safety. The issues here concerned the circumstances when Article 5 was engaged, and the necessary procedures to ensure that there was no breach of Article 5(2)-(4). The crux of the analysis in these cases related to component (a) thus when a child was subject to a care order, the issue of whether there was a `deprivation of liberty’ would turn on whether there was a confinement. The Supreme Court in the case of P v Cheshire West  had formulated the acid test for confinement, which had 2 components, ‘complete supervision and control’ and ‘not being free to leave’. Simply being placed with foster carers was not a deprivation of liberty. Confinement meant ‘an interruption or curtailment of freedom of action normally ascribed to a child of that age and understanding’. The difficult issue was at what stage in a child’s development would a state of affairs become a confinement. The court needed to compare restrictions that would apply to a child of the same age, station, background and maturity, and ‘free from disability’. The court examined whether it was possible to identify an age below which a child was unlikely to be considered confined, but determined it had to be decided case by case on the actual circumstances. As a ‘rule of thumb’ a 10 year old was unlikely to be confined, a child of 11 if under constant supervision may be confined, but the court should not readily come to that conclusion, and once 12, the court may more easily come to that conclusion. If a confinement was found, it would be lawful if it was necessary and proportionate, and had been authorised by a Judge in Family Division in accordance with necessary procedures. Continuing review was essential to ensure continued lawfulness, at least every 12 months. These cases were listed for further review to examine significant developments, and final orders were made. The local authority in such cases would therefore probably have to issue a fresh court application at every review, and the child be made a party, and a Guardian appointed. These cases are important, as this will ensure that the court will have continued scrutiny over cases even after a final care order is made, and that any deprivation of liberty of children is necessary/proportionate and in their best interests, and not in breach of Article 5. 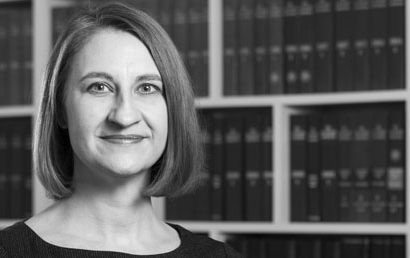 If you require advice on any related issues, or any area of Family Law, please contact our Patricia Beckett at p.beckett@wilsonllp.co.uk or 020 8885 7935.